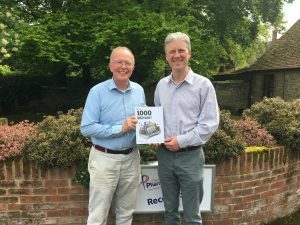 Oxford PharmaGenesis has been named as one of the ‘1000 Companies to Inspire Britain’ in a report published this week by the London Stock Exchange Group. 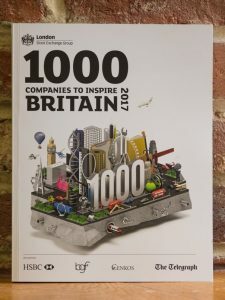 Welcoming the list, Prime Minister Rt Hon Theresa May said, “I want to congratulate all of the 1000 high-growth and innovative companies across the UK featured in this year’s report”. The report, which is now in its fourth year, honours the UK’s most dynamic and fastest-growing small and medium-sized enterprises. Only companies that show a consistent revenue growth over a minimum of 3 years are included in the report. “These companies are the lifeblood of the UK economy,” emphasized Chief Executive Officer of the London Stock Exchange Group, Xavier Rolet KBE. Companies are selected based on their being independent, fast-growing and outperforming other organizations in their sector. Competition for inclusion in the report was tougher this year than previously. Oxford PharmaGenesis is one of only nine companies in the healthcare and pharmaceuticals sector to be included in the list. A full searchable database of all of the companies included in this year’s list along with a downloadable PDF of the publication can be found online at www.1000companies.com.